A new Towers Watson survey of 507 large U.S. companies shows that employers are increasingly troubled by their employees' health status. Sixty-seven percent of the companies surveyed cited their workers' poor health habits as an obstacle to providing affordable benefits. When it comes to encouraging employees to make lifestyle changes, more than half of the companies surveyed (58%) said that lack of employee engagement was a significant problem. Although some are offering goodies like free health coaching and incentives for filling out a health risk assessment, out-of-pocket costs are still on the rise--7% in 2009 and a projected 6.5% for 2010. I think the key to engaging employees in wellness initiatives is understanding the organization's unique culture. 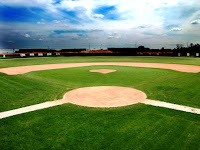 The "Field of Dreams" approach doesn't always work--if you build it, they might not come! It's important to choose a wellness partner with experience serving companies of all shapes and sizes. Over the years, we've learned which strategies works best. If you're a wellness professional, tell us your story. How have you successfully motivated your employees? What works best for your company? Unfortunately most companies either don't care or are ignorant of the facts. If the employee is healthy they will produce more per person, have less sick days and best of all the companies won’t have to train new employees for the job. Also, as we all know happy employees make the office a better place to work and take more pride in what they do regardless of the task.